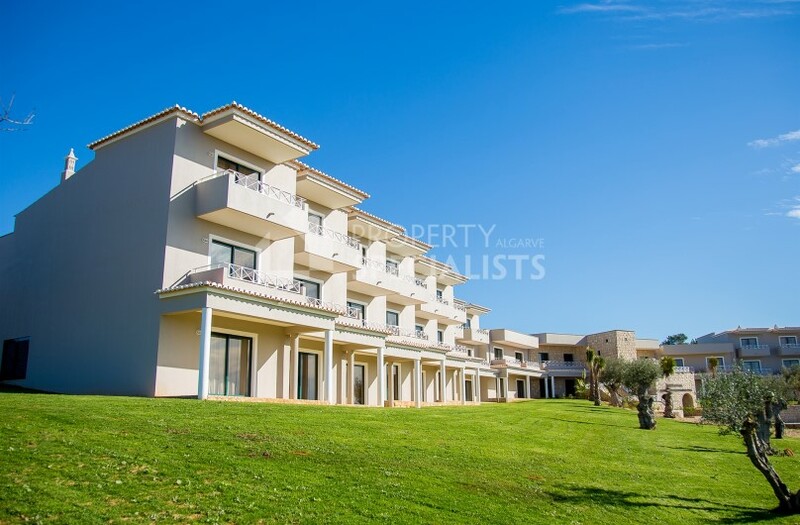 This stylish golf resort is close to the picturesque towns of Carvoeiro and Ferragudo, but in a peaceful rural location. 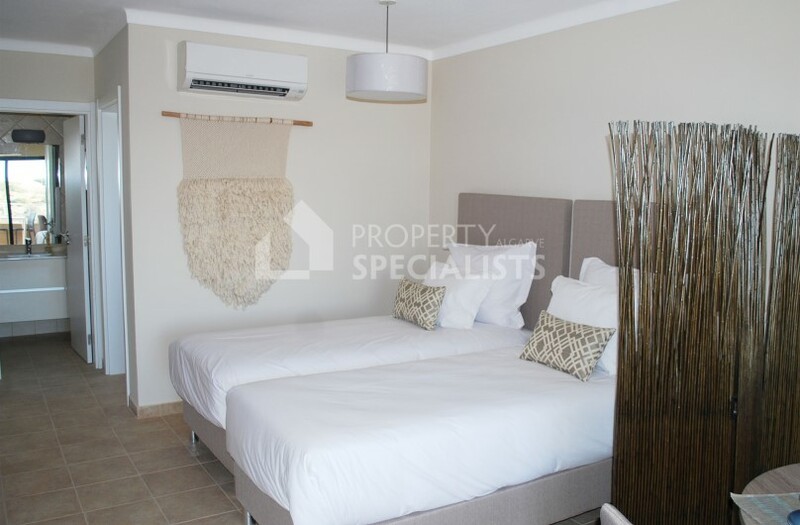 Comprising of spacious homes fitted to the highest standards it makes an ideal choice for those seeking a peaceful and relaxing holiday home, or a permanent residence for a couple or single person. 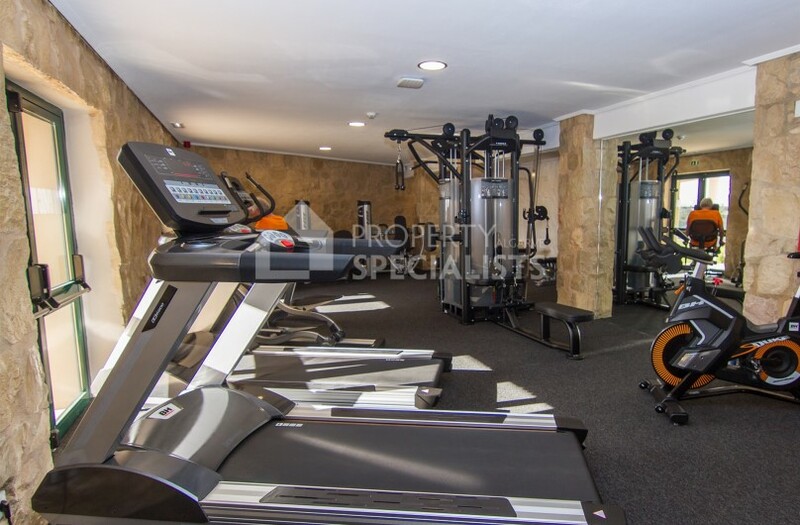 This small complex consists of just 34 individual homes situated in a prestigious but welcoming environment with luxury facilities such as a 24 hour manned reception area, plus a complimentary gymnasium offering Personal Trainer service, Yoga, Pilates and Hydro Gymnastic classes, as well as over €80,000 worth of training machines. 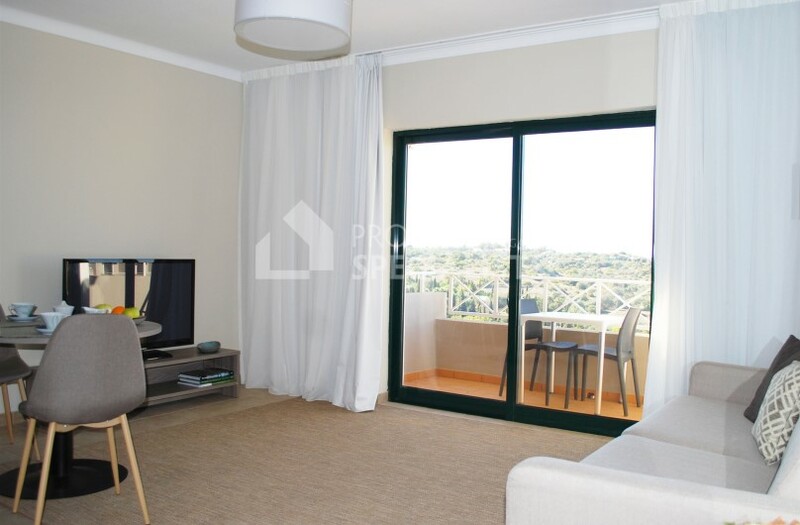 Each Studio Apartment occupies a prime position on the top floor with a balcony to the front and a generous terrace to the rear, both enjoying view across the golf course, over the pools and the surrounding countryside. 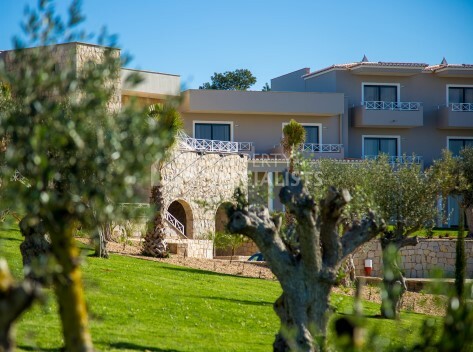 Accommodation consists of a surprisingly large main room with lounging, dining and bedroom areas with patio doors to the balcony, offering ample space for alfresco dining. 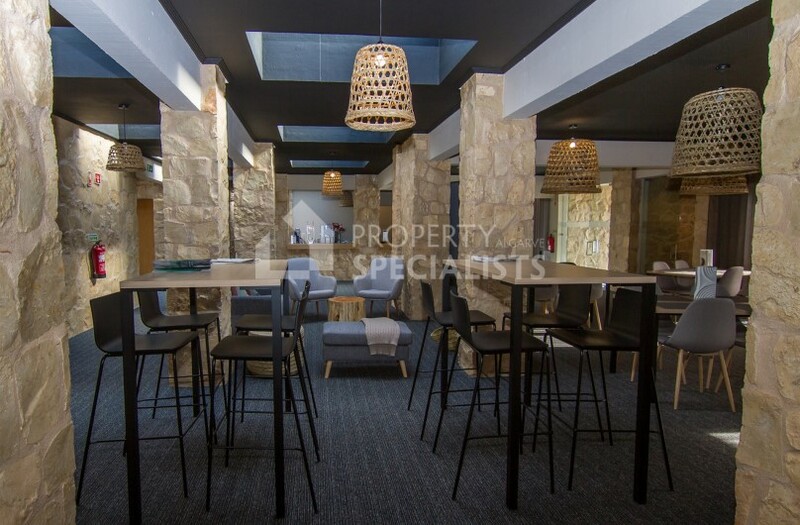 There is a modern bathroom, plus a fully fitted kitchen which leads to a huge terrace area with plenty of space for BBQ, alfresco dining and sun loungers. 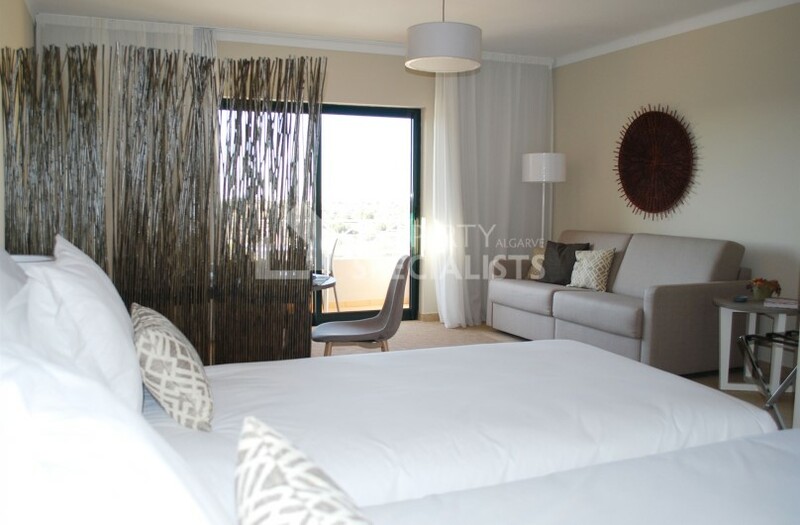 The apartments are sold fully furnished. 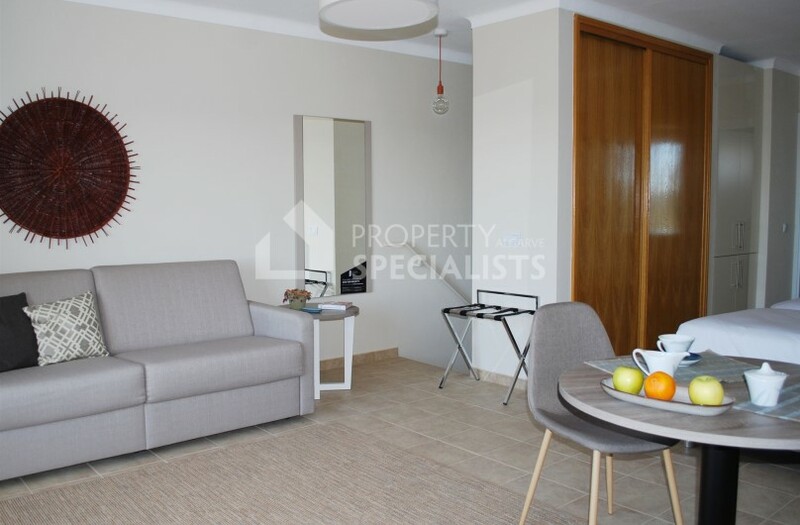 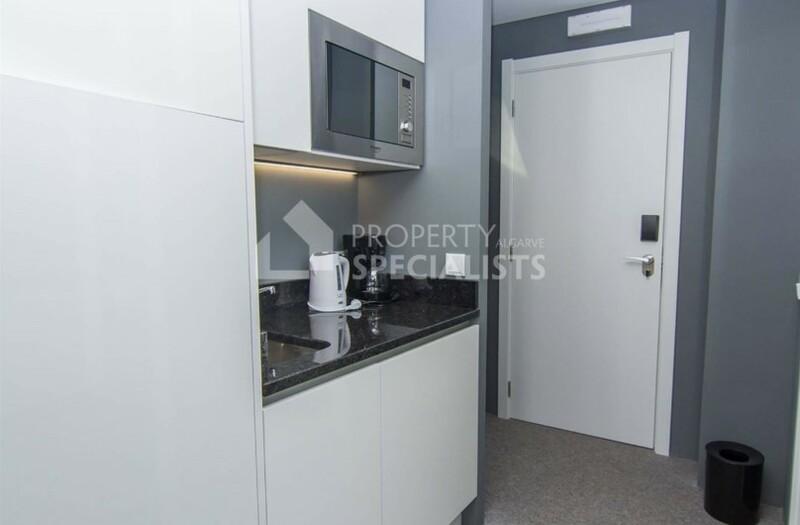 If a Studio Apartment is too compact for your needs, this resort also offers 1 and 2 bedroom Duplex apartments (PSA1209 and PSA1210) with good sized terraces and garden space. 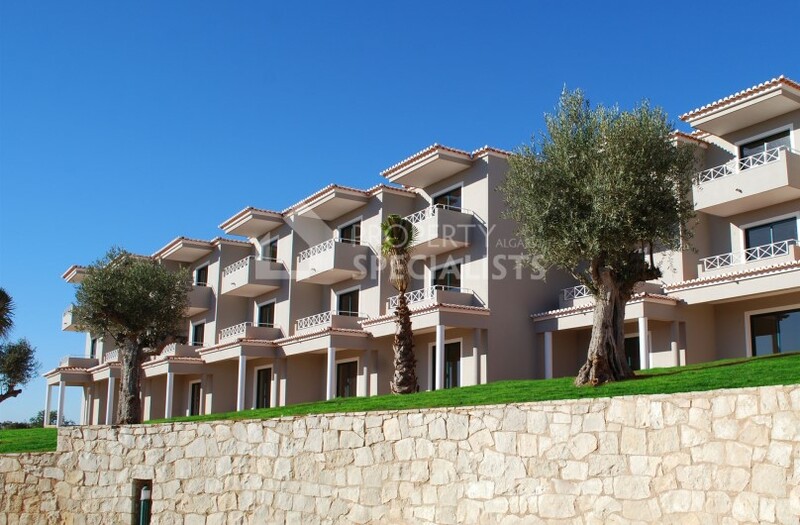 Please see the links below. 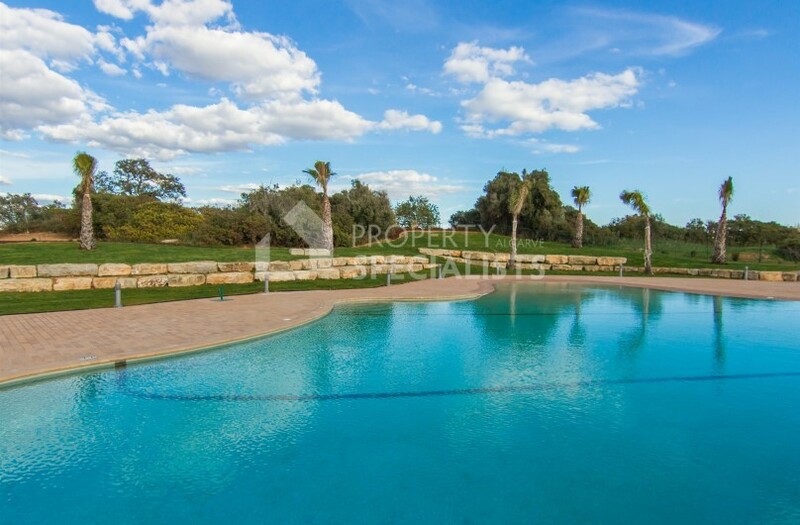 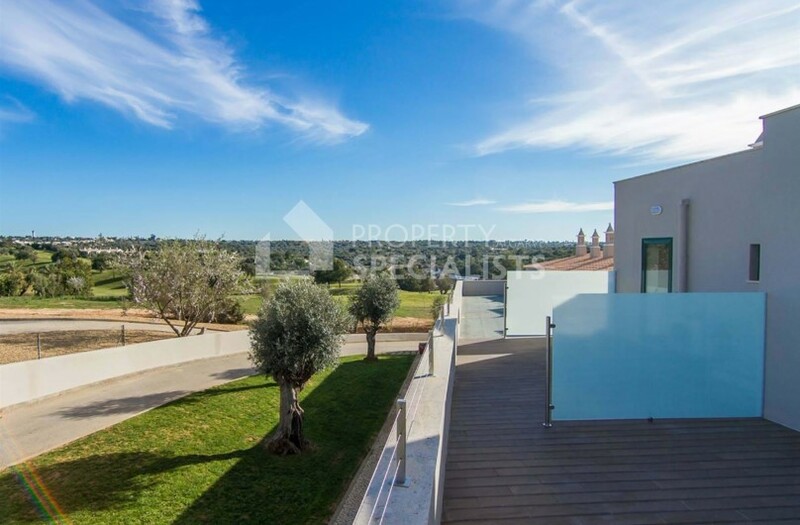 Outside there are landscaped gardens with 2 large pools and surrounding terrace areas, both with prime views across the neighbouring golf course and Algarve countryside. 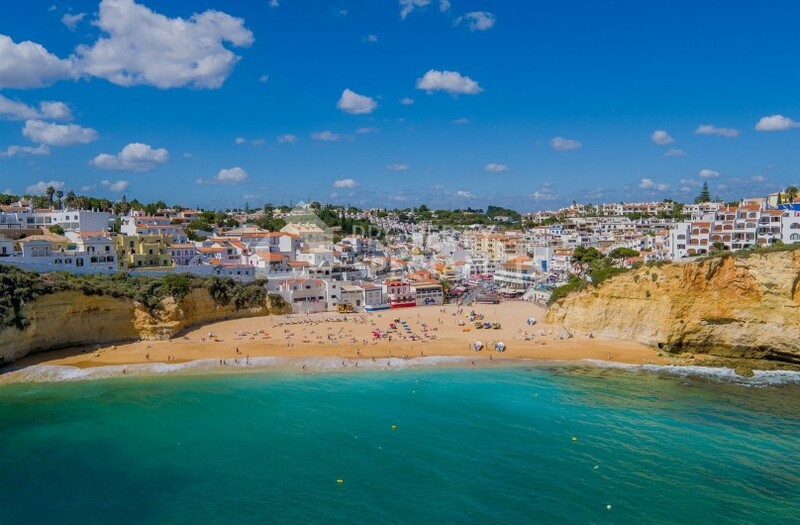 The coastal towns of Carvoeiro and Ferragudo are just 5 minutes by car. 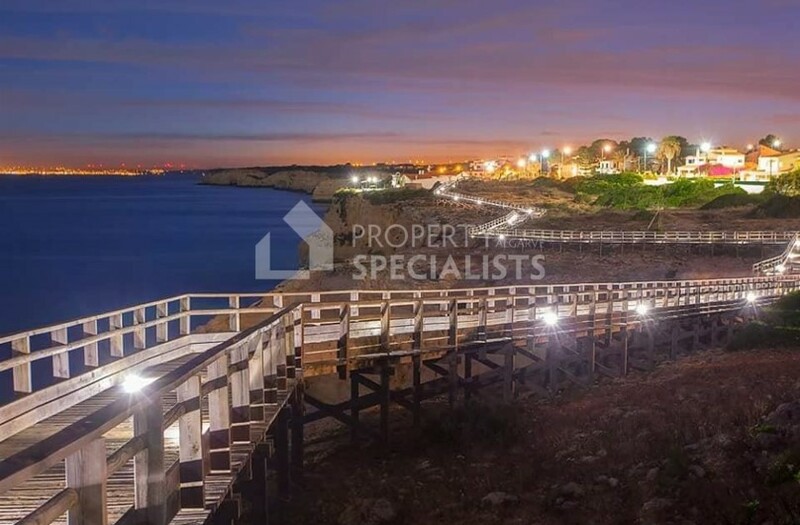 The area boasts a selection of golden beaches and dramatic natural scenery. 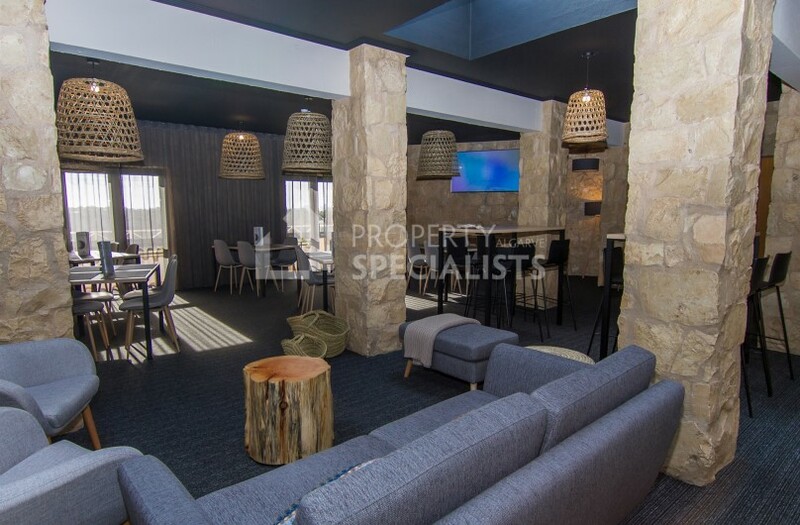 There is much on offer including a selection of more than 75 restaurants, 5 golf courses and Tennis Club all within a 15 minute drive. 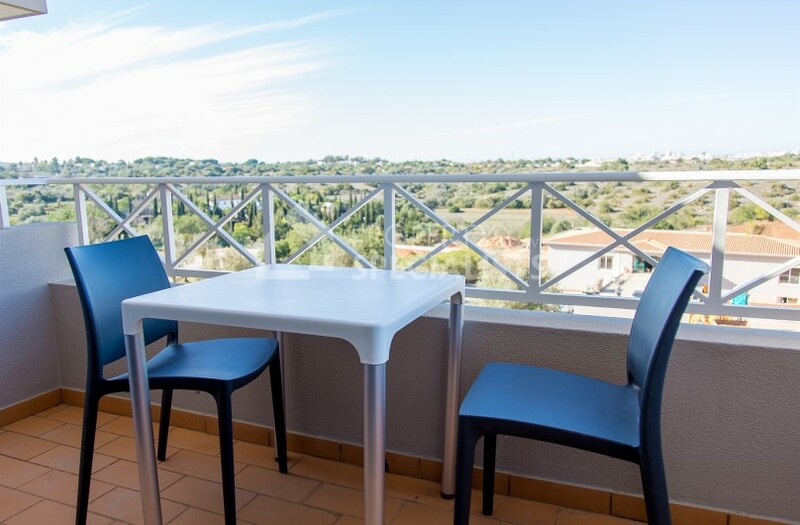 Apolónia, one of the highest quality supermarkets in the Algarve is within a short drive, plus many more supermarkets, shops and cafés locally. 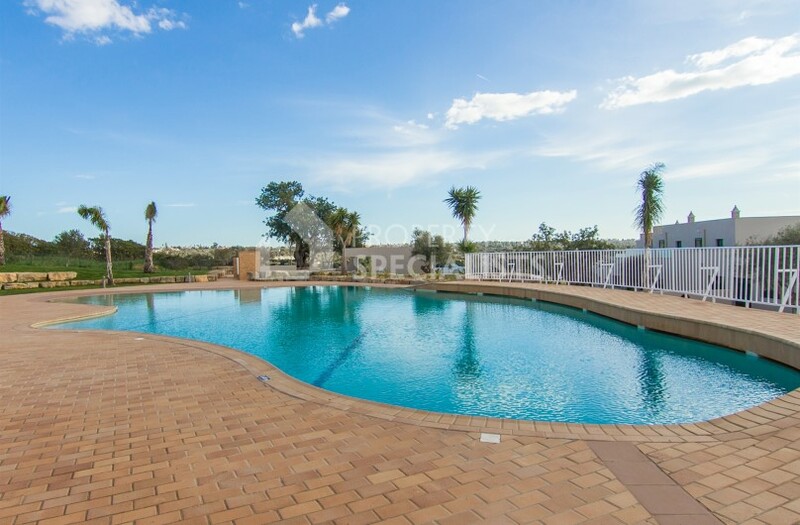 The A22 motorway is easily accessible and enables you to reach Faro International Airport in around 35 minutes.